There are many choices when it comes to which Canadian Linen Service to use. Try a company with a track record and one that will produce recommendations from current clients. Canadian linens are one of the best linens you can use for your children’s uniforms or your own office uniform. These are sturdy enough with the assurance you won’t have to buy or have a new uniform tailored soon – except if your children outgrow it. 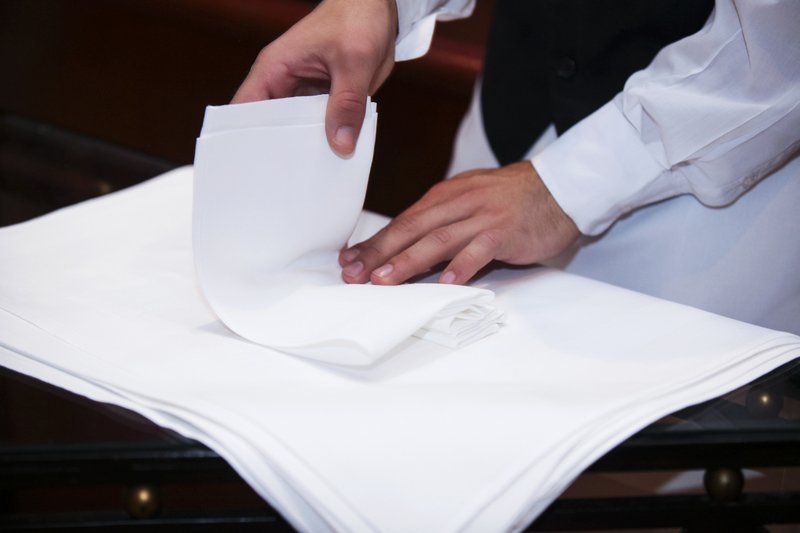 While these linens are great for uniforms, it doesn’t mean these are not prone to stains. You will have to face stains, especially nasty ones, if you have kids. They tend to run around, play, and get dirty even if they are in school. There is also the possibility of food stains due to clumsy (but sometimes they can be very cute) eating. They’ll have chocolate stains, or ice cream stains, at some point. You need to prepare yourself for the worst stain-removing activity, especially with Canadian linens. While Vancouver commercial laundry shops can help out, you still need a few tricks up your sleeves. Here are ways how you can get rid of your child’s clothes stains. Take care of the stain as soon as possible. It’s easier to remove fresh stains than those which have been there for more than 24 hours. If it’s a liquid ingredient that stained the cloth, clean it with a white cloth or paper towel. Avoid rubbing the stain. This may even contribute to spreading the stain. Pat it gently instead. If it’s something solid that stained it, gently scrape it off with a dull knife. There are also some which are easier to remove when they dry up. Afterwards, brush the excess off and place it on water for washing. Do you know that rubbing the stain with bar soap can set it more than remove it? It is best to leave the cloth submerged in water to really get the stain off. Check your laundry before setting it in the washer. There are family members who will surely hide their stains or forget about it. Better check your laundry before placing it in the washer. This goes truer for children who spend their break time at school running around and getting dirty. Check if there are stains that need pre-treatment. After washing the clothes, don’t just put them in the dryer. Check if there are still stains. The heat from the dryer can even leave the stain permanent. Don’t rub the linen too much. Rub the linen gently, unless if it’s tough. Rub it vigorously only under running water and if the stain has hardened. If it hasn’t, avoid rubbing too much since it can help spread the stain. Separate not only the dark coloured linens from the light coloured ones, but also those with heavy stains to lighter ones. This can cause the other clothes to be affected by the heavier stained clothes. Use cold water instead of hot. Using cold water will help remove stains with unknown origins more easily. Let Vancouver laundry service providers handle heavier stained clothes. If you are having a hard time getting rid of the stain on your Canadian linens, then ask for a Canadian Linen Service provider to handle it for you. It’s best to leave the heavier and complicated task to experts. Handling stains takes more than just washing it with soap and water. You also need to know how to deal with a stain whether it’s liquid or solid and even when it was acquired. You can also ask the help of a Canadian linen service provider. They will surely give you some advice on how to care more effectively for uniforms, especially how to make sure you retain the colour.